Could man-made noise interfere with cod reproduction? 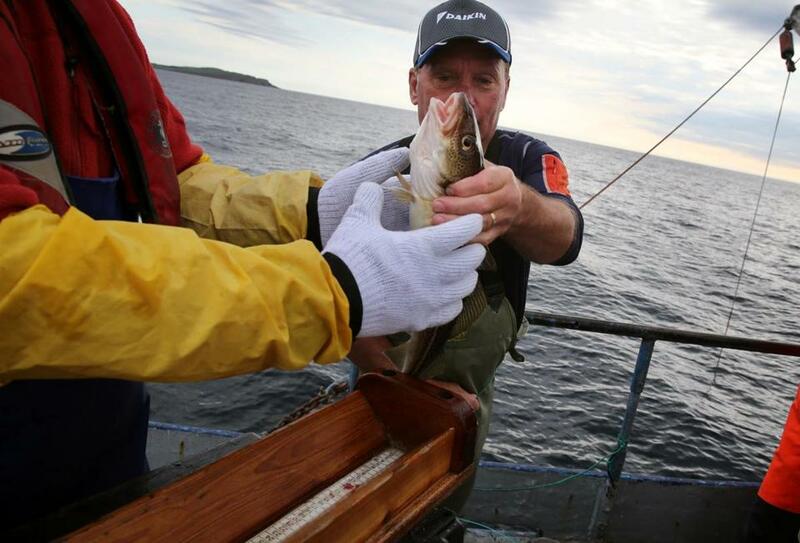 Fisherman Reg Best holds a cod in Motion Bay near Petty Harbour in Newfoundland. A new study of Britain’s seas is attempting to determine whether man-made aquatic noise is affecting the communication and breeding of cod. Led by Steve Simpson, associate professor in marine biology and global change at the University of Exeter, the study will look at how unnatural noise — from shipping, wind farm construction, and oil and gas drilling — has affected the reproductive behavior of fish. Cod and haddock, for instance, are known to use certain sounds to attract mates. “We’re interested in whether the human noise we’re making is drowning this out,” Simpson said. “Different regional populations coming into contact for the first time may not share the same vocal repertoire and could struggle to integrate, share territory and breed,” according to a press release on the study.